Beautifully shaped, luscious lips are highly sought after by both men and women of all ages and ethnicities. When we assess the facial appearance of the people around us, the shape of their lips plays a very important role. Thin, tight lips appear unfriendly, intense, or even angry. A more full rounded lip is softer and makes a person look happier and more approachable. There is a more sensual look to a fuller lip, but lips don’t have to be extra large to look nice. The goal is create a lip shape that is natural and fits the profile and contour of the patient’s face, and not an obvious example of cosmetic enhancement. There are a variety of methods available to enhance and reshape the lips. 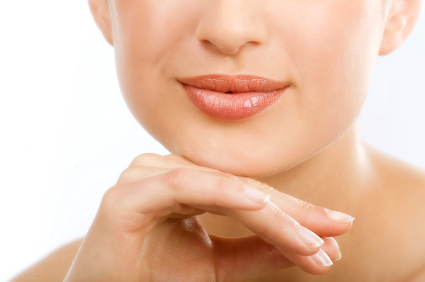 Injectible fillers offer a fast and easy way to achieve a natural looking lip, that is balanced and well-proportioned. When using fillers such as Restylane for lip augmentation, a topical cream is applied to numb the area being treated and the gel is injected into the inside of the upper or lower lip. It is also injected along the lip line. Fillers can be used to enhance the vermillion border (the outline of the lip), provide fullness where needed in both the upper and lower lip. Not only does this produce a fuller, more youthful look, it can also help prevent lipstick from bleeding into the small lines around the lips.